Do you want to keep track of your transactions? Our EPoS stock control systems are the perfect way to navigate the sales of your business through detailed data records collated from the PoS servers. At CCM EPoS, we give you the chance to manage your stock and improve the organisation and profits of your business. 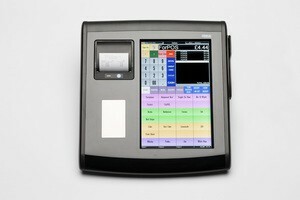 Our EPoS solutions are created to enhance the productivity of your company. What are stock control EPoS systems? Stock control EPoS systems are basically a record of your sales during your commercial transactions. Using specialist touch screen software called TouchOffice, you can keep track of your business in an in-depth back-end system that lists all of the sales currently being taken in your company. Why should you install EPoS systems with stock control in your store? Here, we list some reasons that demonstrate how our innovative EPoS solutions will be an advantageous addition to your company. Watch transactions as they happen with our stock control system. When you log into your system, you will have clear real-time data sent to you so you can keep track of stock levels and adapt to them appropriately. Simple screen navigations will allow you to make the changes you need to make as quick as possible. As a result, you can keep on top of the market and make rapid changes to your business that will meet the consumer’s criteria. From organising your company, to sales auditing and stock control, you will have complete control over the running of your retail or hospitality business. Our TouchOffice software grows with your business. Whether you want to remove or add new stock, it is a scalable solution where you can manage all aspects of your business. By demonstrating which items are selling out, you will be able to update your stock in relation to market trends and ensure you are always on top of the retail or hospitality scene. Software regarding your transaction information can be installed no matter where you are. Onsite or offsite, you can make the changes to your stock even away from your store. The recorded information will be delivered from single or multi-site operations straight to your stock control systems where you can access and manage the PoS terminals remotely. If you want EPoS stock control systems installed on your site, then give the team at CCM EPoS a ring on 01202 302666 fill in an online contact form.